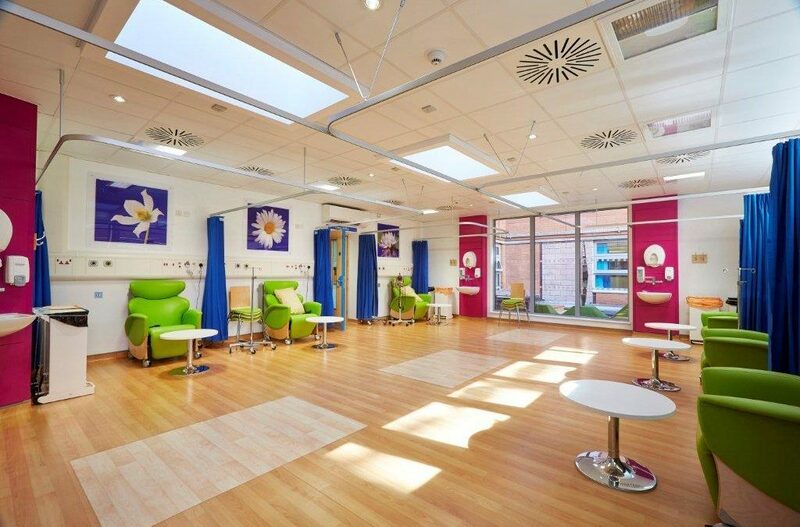 Completed in July 2013, the Haematology Day Unit at Southampton General Hospital will serve patients with leukaemia and other blood disorders requiring day treatment. The accommodation is being created partly by the conversion and refurbishment of existing accommodation and partly by extending into the West Wing Courtyard at Level C.
The HDU was funded by Southampton Hospital Charity’s Red & White Appeal which have involved the community in the fundraising. Studio Four were involved from feasibility to completion. The proposal will significantly improve facilities for patients with leukaemia and other blood disorders from across Hampshire and the Isle of Wight.